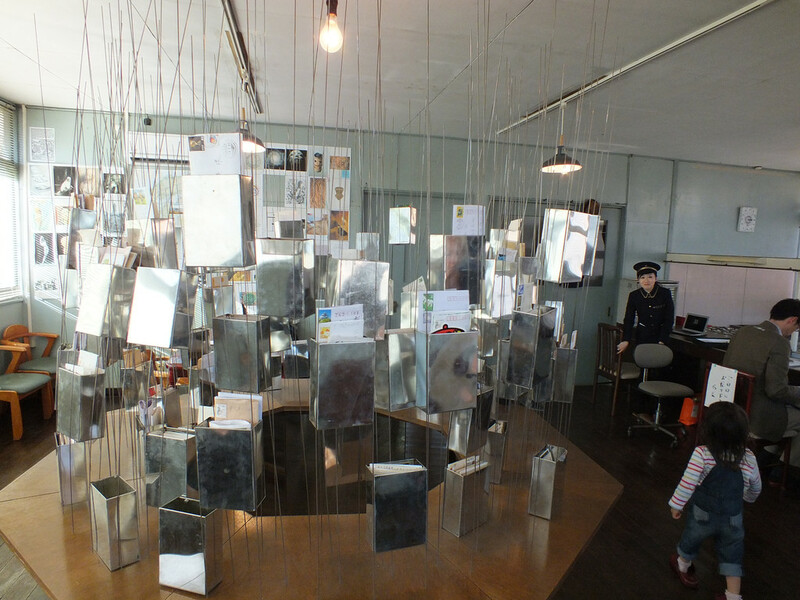 Today, as the Fall session of the Setouchi Triennale 2016 is just around the corner, I want to bring you to Awashima to introduce you to Missing Post Office by Saya Kubota. What we’re talking about here is a “real” functioning post office, but of course, a very special one. 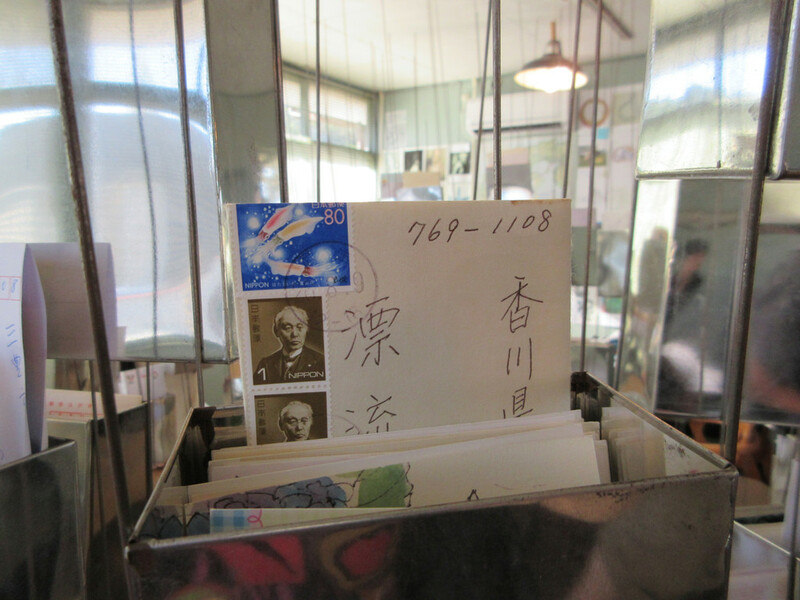 It is special in that it receives and stores anonymous mail, mostly postcards. The only condition is that it must be anonymous: no named sender, but no named recipient either. You can write to anyone, real or imaginary. You may personally know them, or maybe not. They may be from the past, the present or even the future. Anything is possible. You just can’t include names. Once the mail arrives at the post office, it will be put into one of the small boxes in the middle of the main room. 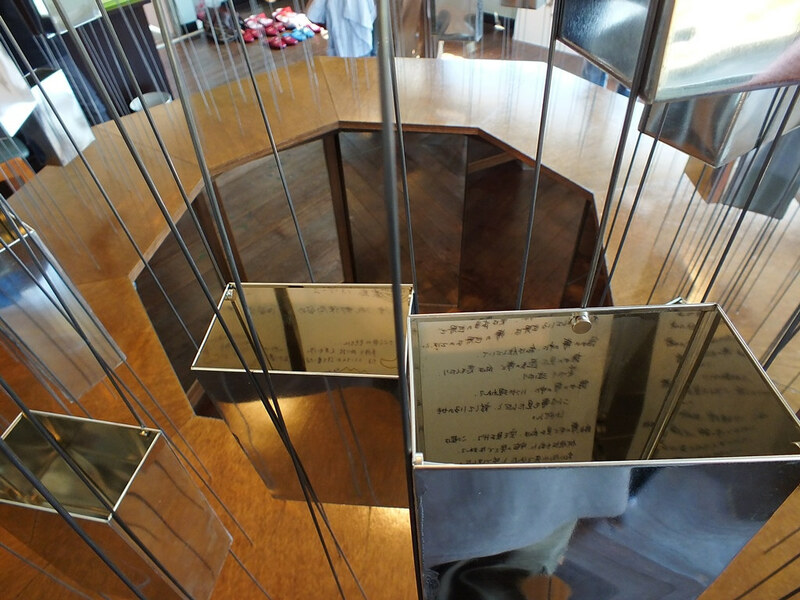 Visitors are invited to read the ones of their choice. Of course, most of them are in Japanese, but it’s up to you whether there’s more messages in English (and other languages too) or not. 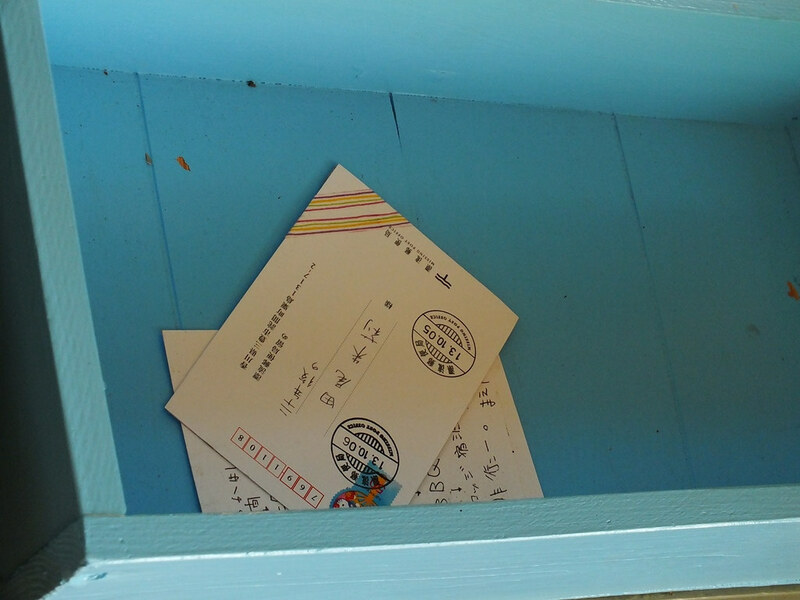 Note that earlier this year, Missing Post Office had a temporary branch in the UK and it is my understanding that all letters from the UK will be moved to the main site on Awashima for the Fall. So there should be much more in English this year. 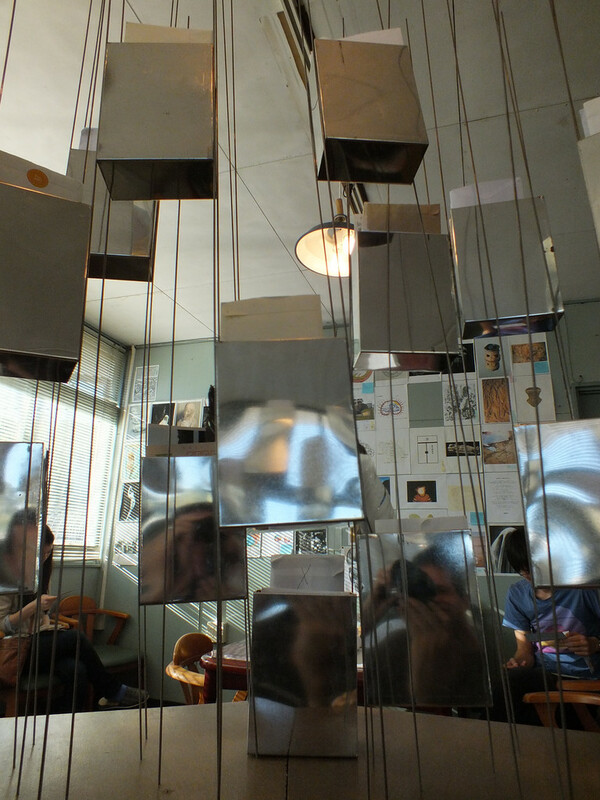 The postcards will remain there as long as the project exists. The post office has become some sort of “messages in a bottle” repository. With the difference that unlike actual messages in a bottle, these ones will be preserved and read. Now, here is the catch. When reading a message, if you feel that the postcard was indeed written for you, it is my understanding that you are allowed to take it with you. Caveat; you may want to double-check this, to make sure I didn’t misunderstand. Personally, I find this project to be wonderful in many ways. First, its poetic dimension is very touching. 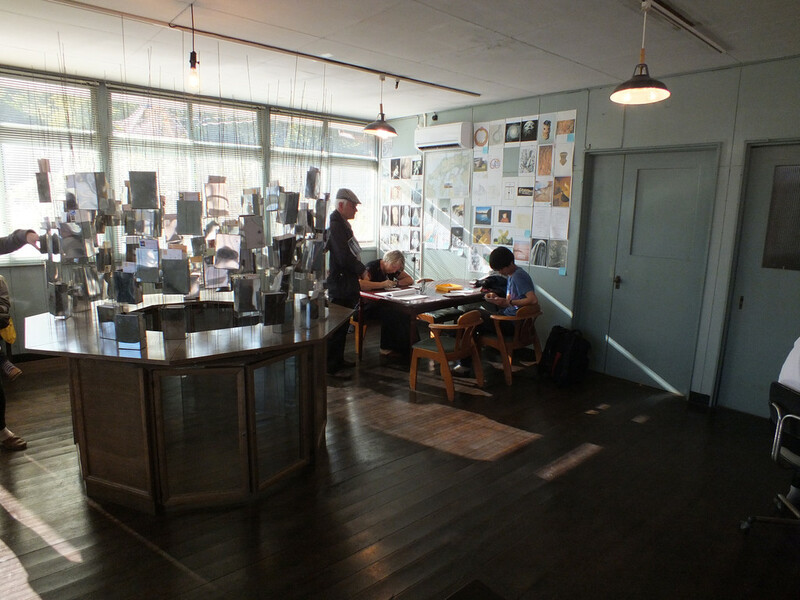 Also, its location is a real former post office – a place of life and communication by definition – and it’s getting a second life this way, instead of being left to rot. A second life that is not too dissimilar to its original one. The theme of “presence of absence” is there too. 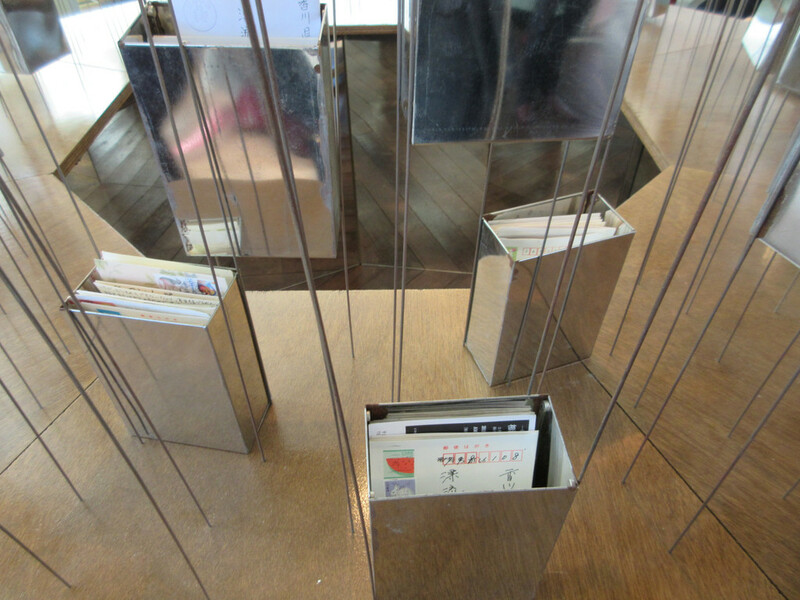 It’s a very common theme among many other artworks from the Triennale (it’s even the name of one of them). 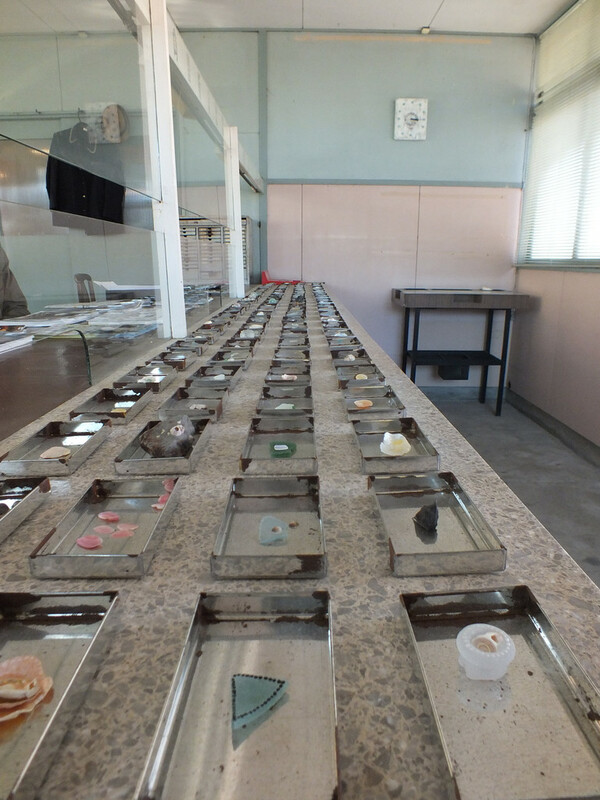 A theme that’s unavoidable if you spend some time on the Seto Inland Sea islands. A theme that could get a negative treatment, or even a fatalist one. Not with Missing Post Office though. There, all these messages seem to be calling their recipients, inviting them to come to the island. 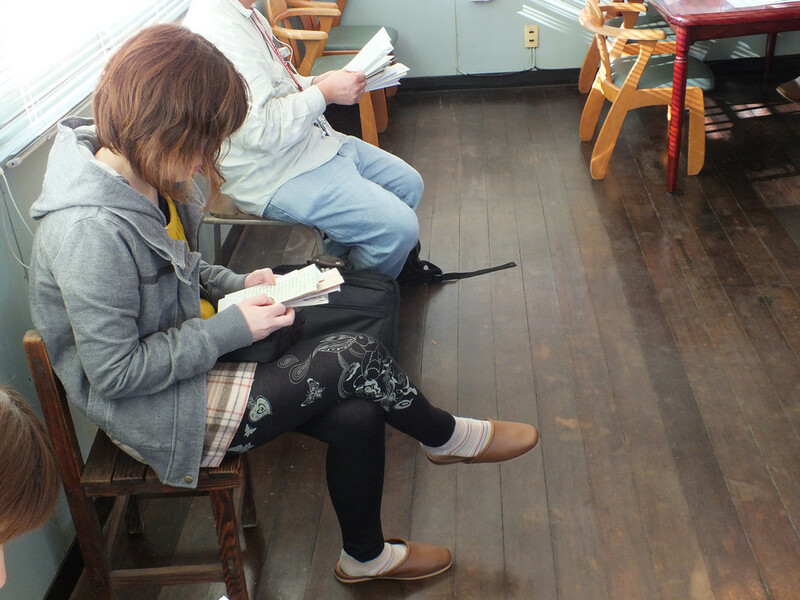 … and people reading them. Also, you may know that I like participative art projects, where the contributions from the locals and/or the visitors matter. I also love projects that are set in the real world, that are a part of it, and yet, that are not something you’d find anywhere else. This is exactly what we have here; a real post office unlike any other post office on Earth, and an art project that couldn’t exist without the active participation of other people. Missing Post Office, along with a number of other projects all over the islands, create some sort of alternate reality. We are in the real world, but another one than the one we’re used to in our daily lives. 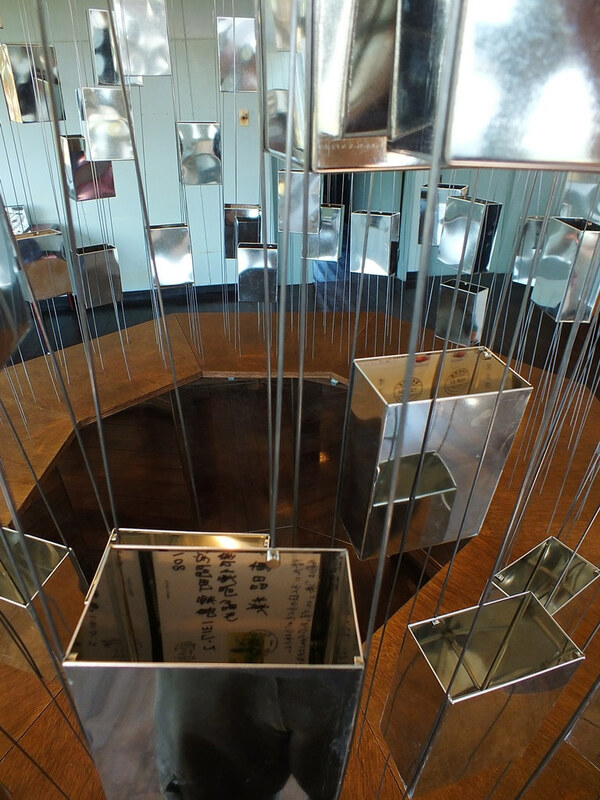 This is why I love this project, as it summarizes so well what attracts me with the Setouchi Triennale and Art Setouchi: the creation of this actual alternate reality to replace another otherwise hopeless one. This new reality is one that brings hope and a future to an area that was losing both. 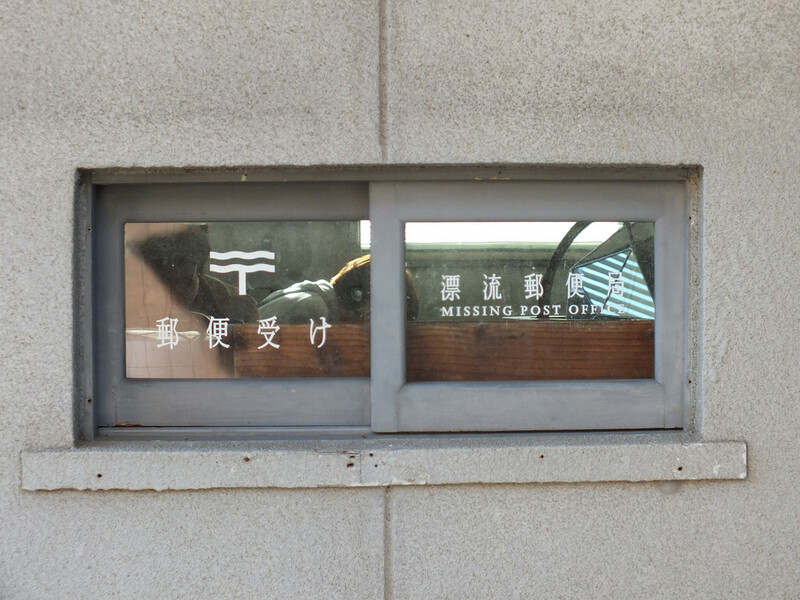 And hope is also an important component of Missing Post Office. Those messages are written for a reason. And while senders don’t directly address them to their intended recipients, they must be hoping for something. That the recipients somehow read them. Or that the message will have an impact on whoever reads it. Or simply they hope that the act of writing their message will help them one way or another. Who knows? To go back to this idea of alternate reality mixing the real world with another one, let me tell you very briefly about Mr. Katsuhisa Nakata (and his big smile). 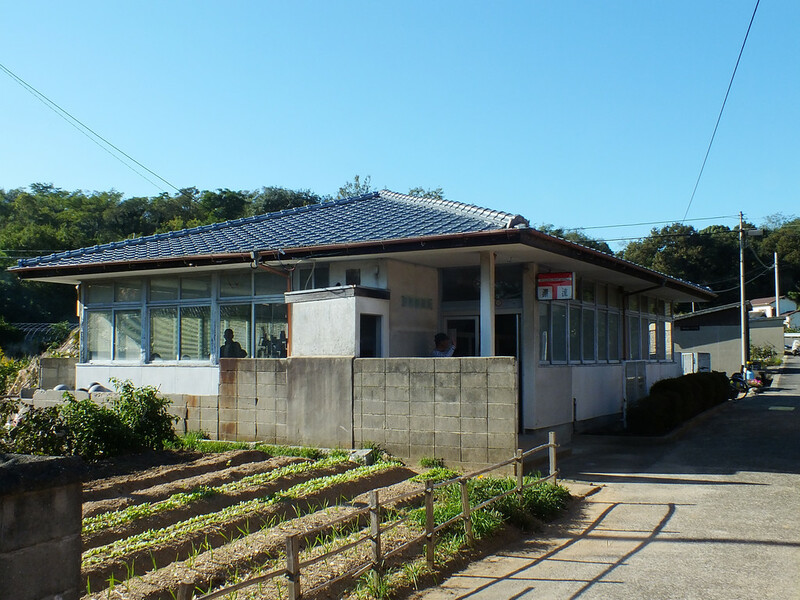 For 45 years, he was Awashima’s postmaster until he retired. 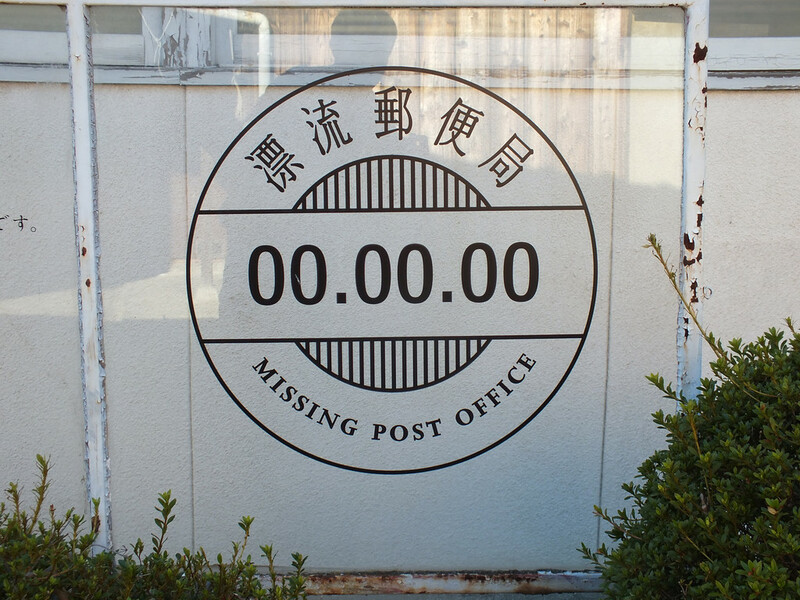 When Saya Kubota started her project on the island, she naturally invited him to become Missing Post Office‘s postmaster too. He accepted and now he has been actively managing the place since 2013. The three times I ran into him (twice there, once in Takamatsu where he was promoting Awashima at a “island promoting event” – sounds silly, but you’d be surprised by how many people from Takamatsu never ever go to the islands) he had that big smile on his face, genuinely happy and excited to do what he was doing. I’m really looking forward to meeting him again in a month or so. I’ll finish with a small anecdote. Back in 2013, the first time I went there, as we were sitting a few dozens meters from the post office, an old lady walked by and said hi to us. Later as we were walking towards the post office, we ran into her again. She was just leaving the place. She came towards us and told us that seeing us (a multicultural family, I assume) reminded her some very old memories, and that thanks to us, she had to write a message to someone. 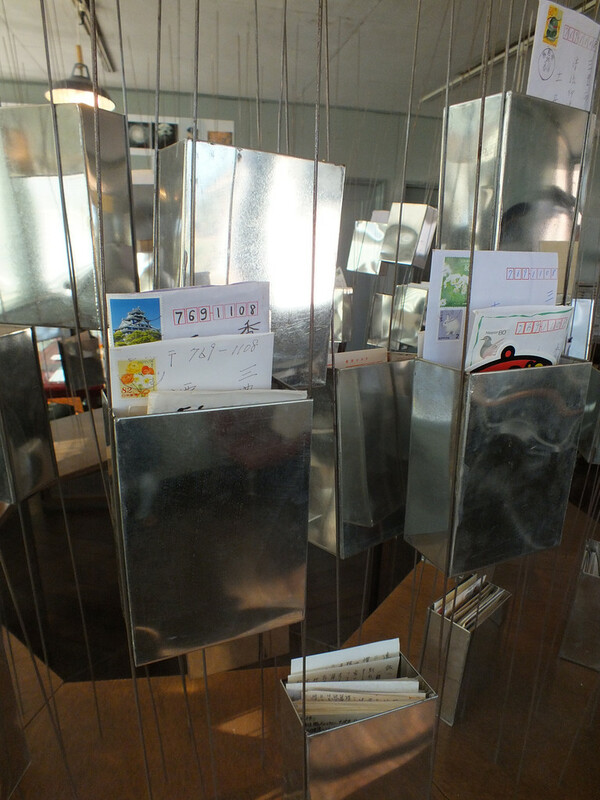 So, whether you have a message to send or not, make sure you do not skip Missing Post Office this Fall if you’re attending the Setouchi Triennale 2016. Missing Post Office on Facebook. 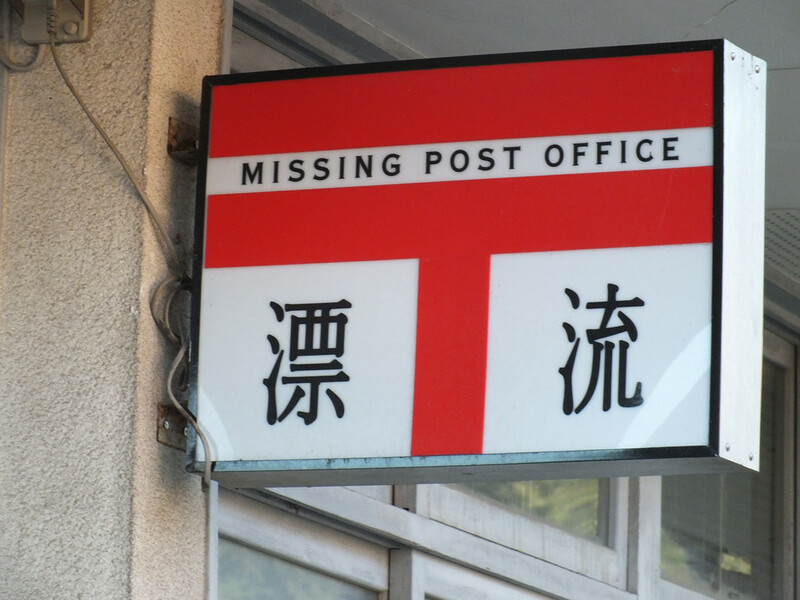 Missing Post Office on Twitter. I really wanted to visit this post office. Definitely not coming back next month. 🙁 Will have to wait another 3 years before I can visit. Even had some ideas for post cards if I had a chance. Guess not now. I know I can send it myself, but would rather visit to do so. You can visit it almost anytime. Outside of the Triennale, the Missing Post Office was usually open about two week-ends a month. So if you come back before 2019, you may still visit.